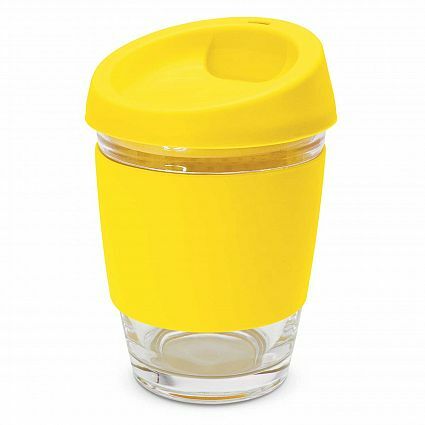 The Glass Metro Cup is a reusbale coffee cup to get excited about. It holds 340mL and has a secure push on silicone lid and a wide heat resistant silicone band. Have your logo printed onto the silicone band for maximum advertising exposure. 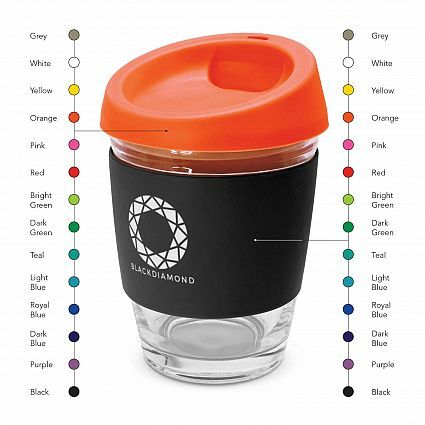 You can mix and match the colours of the band and lid to match your company branding. 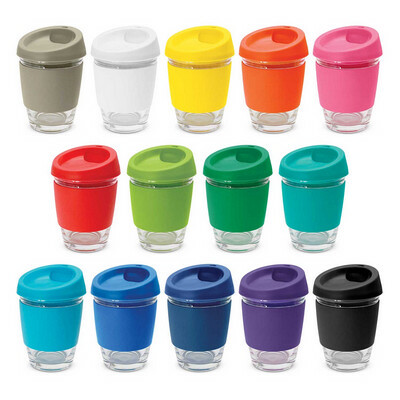 The Glass Metro Cup makes a beautiful promotional gift for you to give clients and employees. 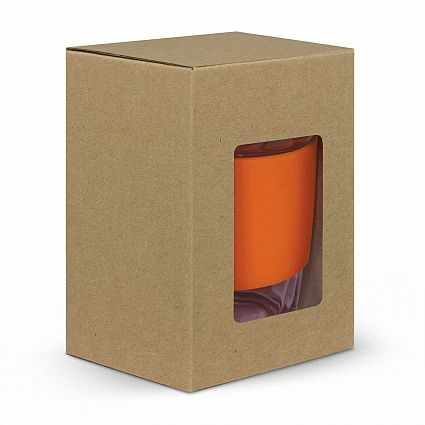 It is presented in an unbleached cardboard gift box with a window to show your printed logo. Price includes 1 colour print in 1 position. Prices are GST ex. Please note that upto 5 different colour combinations are included in the price and more are available for an additional charge. Glass is a natural choice for a clean. 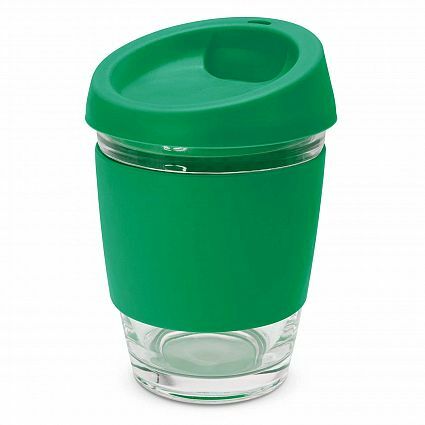 pure taste and it offers an eco-friendly alternative to single use paper cups. Many cafes now offer a small discount to customers who bring their own coffee cup. We have a range of eco friendly products available. Contact us today for more information.